New anniversary edition by University of California Press. "Contains some 6,000 entries describing passenger steamboats by rig, class, engines, boilers, where and when built, and historical information, organized alphabetically by ship name. Includes black and white photos." Steamboats.com highly recommends this book. This is the bible of steamboat history for the Mississippi River system 1848-1994. If you want answers to your steamboat history questions, this is the primary source. Mississippi River system only. Click book cover or here to buy it now at Amazon.com. Capt. Fred Way Collection View steamboat photos from the collection donated to the Cincinnati Library by Fred Way and the Sons & Daughters of Pioneer Rivermen in the 1950s. Recently digitized and put online. A great resource. The first book to reveal the secrets of steamboat cooking! 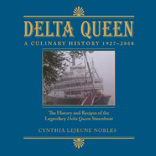 The much awaited book, Delta Queen: A Culinary History 1927-2008, by Cynthia LeJeune Nobles, foreword by Captain Clarke C. "Doc" Hawley. Buy it from the publisher: www.deltaqueenbook.com. This book celebrates the epic voyage of the steamboat New Orleans, which departed Pittsburgh, Pennsylvania, in October 1811. Voyages, the Age of Sail: Documents in American Maritime History, Volume I, 1492-1865 (Paperback) by Joshua M. Smith (Editor) Click here to see the book at Amazon.com. Voyages, the Age of Engines: Documents in American Maritime History, Volume II, 1865-Present (New Perspectives on Maritime History and Nautical Archaeology), by Joshua M. Smith (Editor) Click here to see the book at Amazon.com. Old Times on the Upper Mississippi Recollections of a Steamboat Pilot from 1854 to 1863 (Fesler-Lampert Minnesota Heritage Book Series), by George Byron Merrick. Read book review at this site: click here. 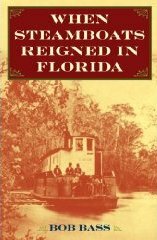 In When Steamboats Reigned in Florida, Bob Bass explores the impact of these vessels along with the stories of those who ran or established the steamboat routes along most of the major rivers in Florida - the Kissimmee, St. Johns, Ocklawaha, Suwannee, Apalachicola, and Caloosahatchee - as well as Lake Okeechobee and Ft. Myers. Through past historical accounts and his own family's personal experiences, Bass sheds new light on Florida's steamboat saga. In an email to Steamboats.com on August 23, 2008: "My dad was raised in Fridley, Minnesota and attended the School of Agriculture at the University of Minnesota. One winter he and friends built what they called a floating house (a houseboat) where they planned to live while completing college, but two of them, my dad and poet friend Clarence Jonk, floated down the Mississippi instead." Editor's Note: Read full letter click here. The Chesapeake Bay Passenger Steamers operated for just two months short of 150 years on beautiful waters and rivers between Baltimore, Washington and Norfolk. Some of them fought in the Civil War, and World Wars I and II. They took millions to seaside resorts and amusement parks. Read their story, accompanied by more than 200 photographs, in a new book from Arcadia Publishing. Also: Alexander Cassatt created the Hudson River Tubes and Pennsylvania Station in the early 1900s. But long before that he had put together the nation's most audacious float railroad, still in operation after 120 years. See a new history of Virginia's Eastern Shore Railroad published by Arcadia. Publisher's Website - click here. Book Description: Since English settlers first touched the shore of the new country in 1607, the Chesapeake Bay has been a multifaceted engine of American history and commerce. The body of inland tidal water between the largest bay cities, Norfolk and Baltimore, was large enough to be the setting of adventure and close enough to allow smaller towns and cities to grow up on its shores. The common community came to life with the technologies of steamboats that could cover the long distances between North and South relatively quickly. Steamers filled in the nooks and crannies of the bay's geography, and by the mid-19th century, the skies over the bay were lined with dark, waterborne contrails in all directions. Mississippi This book is derived from journals kept by Allan and Dianne Roden as they paddled down the entire Mississippi River in their home-made, cedar-strip canoe. Accompanied by their Australian Cattle Dog, Annie, they started at the source of the Mississippi at Lake Itasca in northern Minnesota where the river is a small stream. Most of the way they camped in a tent on the banks of the river, as they followed it 2,500 miles all the way to New Orleans. They experienced many adventures, like getting lost in a large swamp, battling 4-foot waves on a huge lake, getting stuck on wing dams, and dodging barges. They also saw an abundance of wildlife and met many interesting people that represented a cross-section of the United States. It was an opportunity to reconnect with each other and rediscover their inner selves. Amazon: Click here to buy it now. Ste-e-e-e-eamboat A-Comin'! by Jill Esbaum, illustrations by Adam Rex. See an article about it at this site: click here. Go to the publisher, Farrar, Straus and Giroux: click here. 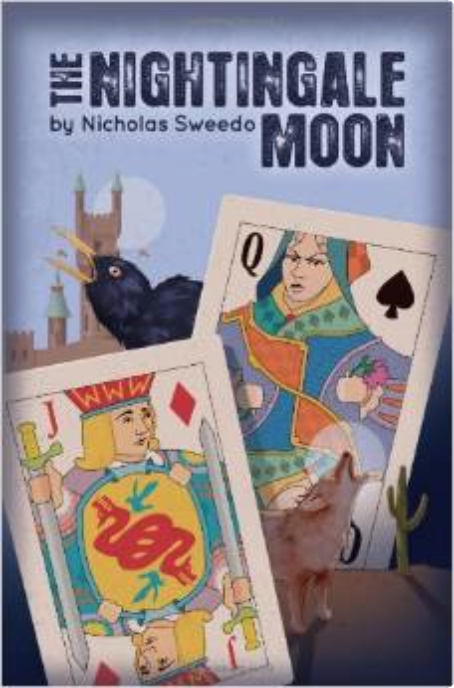 The Nightingale Moon, by Nicholas Sweedo. A novel set in the 1800s following the Civil War. 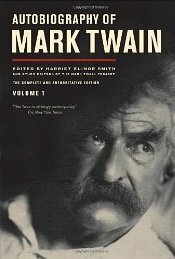 Two boys enter a Hearts tournament on a Mississippi River steamboat and cross paths with Wild Bill Hickok and Mark Twain. "This is the daily journal written by my great-great-grandmother Juliette Starr Dana of her summer trip on the Great Lakes and Mississippi River in 1852. 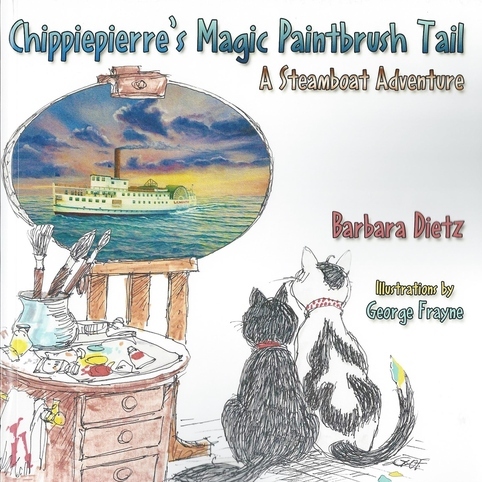 She traveled on 22 different lake and river steamboats describing the people she met, fellow passengers and crew, and her adventures on the lakes and rivers from Chicago to St. Paul to St. Louis to Cincinnati. It has been called the best and most detailed description of extended travel in the US in the ante-bellum period." By popular demand, Thrills of the Historic Ohio River by Frank Grayson was published in book form in 1929 after having first appeared as a series of daily river columns in the Cincinnati Times-Star. Long considered a classic, first editions are highly sought for its invaluable information on early river transportation and steamboating history. Although Grayson honored the Ohio in the title, he freely interwove historical fact and first-hand accounts about the entire Ohio/Mississippi river system. Included are anecdotes about many of the river towns, both small and large, as well as sketches of several of the colorful characters who contributed to the diversity of river life. The words to several roustabout chanteys round out the bill of fare. This treasured volume is guaranteed to help keep the history of America's inland waterways alive through this newly revised edition. Originally printed in paperback, Grayson's well-known "red book" has been faithfully reproduced in every detail, including the beautiful cover art and all photographs. Three separate indices identify general subject matter, boat lines, and a separate vessel index listing nearly 500 vessels, enabling the information to be readily accessible for further study. * Indiana residents add 5% sales tax. For multiple copies, add $1.75 shipping for each additional book. Personal check orders are held 10 days. Click here to buy through the publisher. "I found a lot of interesting items in the pilots' logs . . . interested in the comments about the steamboats going aground, especially in/around the KC-Omaha stretch of the river. My father worked on the river near ST Joe during the depression years, and he always maintained that while the MO River was wide, it was not very deep. He often told people that he could walk across the river w/o swimming, but this was of course, before the dredging projects and the many dams and flow controls were in place. (he would also have had to try to avoid the swifter channels. (:-) )"
Amazon review by Pat Middleton, River Author (greatriver.com) from Stoddard, WI United States "Come Hell or High Water" is a delightful and informative anthology of accounts from steamboat passengers, crews and newspapermen from the 19th century. Gillespie explores all aspects of steamboat travel from the development and construction of the vessels to the personal accounts of steamboat races, accidents and the pleasures of steamboating on the Western Rivers. Read more about the book here. Click here to buy it now. 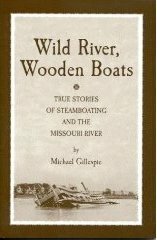 Amazon review: The fascinating true story of steamboating on the Missouri River. Not the river we know today, but a wild river as recalled by the crewmen and passengers who traveled it in the nineteenth century and recorded their stories in memoirs, diary and journal entries. The stories contain long-forgotten accounts of steamboat navigation and operations, vivid descriptions of the river, the crewmen and passengers, and tales of disaster and unexpected peril. Click here to buy it now. 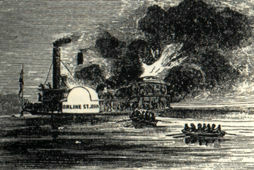 Captain Hillman records his 60-year adventure piloting riverboats on the Ohio, Mississippi and most other major rivers. Captain Hillman started with paddlewheeled towboats and ended his career on the paddlewheelers of the Delta Queen Steamboat Co.
"On the Upper Mississippi River at certain times of the year we have a hatch of mayflies. They hatch by the millions, don't eat anything, just mate and die. They are foul-smelling and make a mess on the boats and around streetlights in the towns. I saw the city crew at Clarksville, Missouri, dump truckloads of them into the river. Twice I've seen highway crews at La Crosse, Wisconsin, plowing mayflies off the highway bridge with snowplows. In 1949 a semi-truck jackknifed in the slippery mess, while a passenger on the Delta Queen steamboat complained loudly about 'any company which would schedule a cruise when there was going to be a hatch of these bugs...' "
As mapmaker and photographer for the U.S. Army Corps of Engineers, Henry Peter Bosse (1844-1903) took more than three hundred photographs of the Upper Mississippi River from 1883 to 1893, a time of unprecedented environmental and social change. . . . Views on the Mississippi brings together for the first time almost one hundred of Bosse's most stunning images. These photographs-tracing the river from Minneapolis to St. Louis-capture the Mississippi as it was being transformed from an untamed natural wonder to a modern commercial highway. Presenting the wagon and railroad bridges, the towns and villages along the banks, and the steamboats that served them, Bosse's images depict the river at the fulcrum between the nostalgic era recorded by Mark Twain and the coming century of industrial development and environmental change, including the alterations wrought by the navigation projects of the Army Corps. Many imagine the settlement of the American West as signaled by the dust of the wagon train or the whistle of a locomotive. During the middle decades of the nineteenth century, though, the growth of Texas and points west centered on the seventy-mile water route between Galveston and Houston. This single vital link stood between the agricultural riches of the interior and the mercantile enterprises of the coast, with a round of operations that was as sophisticated and efficient as that of any large transport network today. 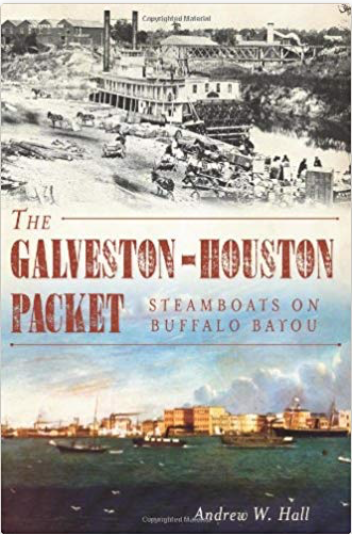 At the same time, the packets on the overnight Houston-Galveston run earned a reputation as colorful as their Mississippi counterparts, complete with impromptu steamboat races, makeshift naval gunboats during the Civil War, professional gamblers and horrific accidents. 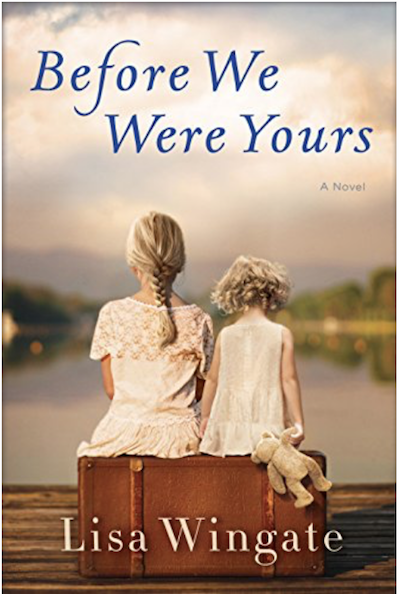 Before We Were Yours a novel by Lisa Wingate. Amazon review: More than 30 years ago, Walker Raines lost the woman he loves. Now he has clandestinely orchestrated what he hopes will appear to be an accidental meeting in very romantic circumstances: aboard the beautiful Delta Queen during a leisurely four-day spring cruise from New Orleans to Natchez. Click here to buy it now. 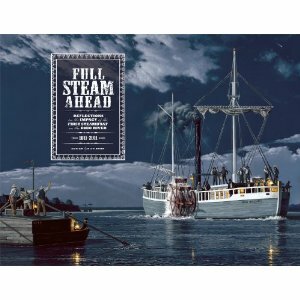 Steamboats review: This 120-page oversized paperback has about a hundred historic photos of steamboats, people and towns where the steamboats roamed. Immerse yourself in history with this book. 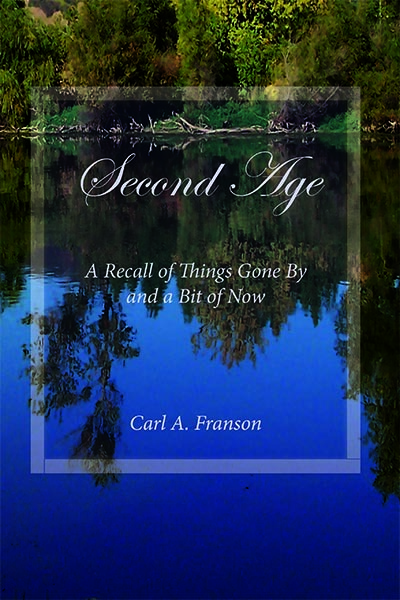 Book review by Jerry Canavit: If you've seen the book, I needn't say more. If you have not, you should take a look. It's a hard bound, coffee table-type book that is 128 pages of photo essay on the six existing steam-powered paddlewheelers operating on the Mississippi River System. The text is brief - but the photography is absolutely first rate. Kral is a shooter of the first order. It's a magnificent presentation. With the possible exception of David Plowden's photo essay on steam, it's the best visual book on the subject I've come across. It contains some shots of the DQ that are breathtaking. by William J. Petersen. Read book review at this site: click here. Vist the author's site, link here. To buy the video, click here; to buy the companion book, click here; to buy the soundtrack, click here. 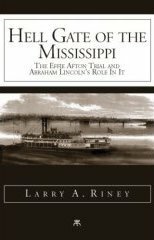 Upper Mississippi River History, by Capt. Ron Larson, U.S.M.M.
. . . and many more! Browse the publisher's bookstore for river lore and inspiration. 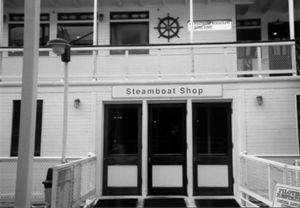 This site also includes more links to other steamboat sites. A different river: river trade and development along the Murray Valley network by Gwenda Painter Availability: This title is out of print. Although it is no longer available from the publisher, we'll query our network of used bookstores for you and send an update within one to two weeks. Availability: Although these books are no longer available from the publisher, Amazon will query a network of used bookstores for you and send an update within one to two weeks.